There’s this geezer comes on the Hill and paints pictures. Don’t see the point meself, especially since he always has a camera with him. And they tell me he collects fountain pens. I ask you! Look, I know moles are not known for being up-to-date and having the latest gadgets, but even we’ve heard of biros. 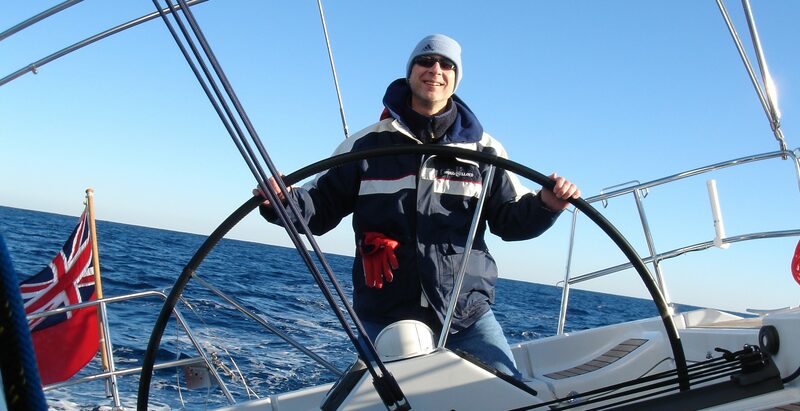 And then, would you believe, he actually leaves terra firma and goes sailing, on a boat with a small engine. But then they tell me he’s a solicitor, so what can you expect? Nearly everybody in Primrose Hill knows 58-year-old Francis Katz. They’ll have seen him on his stall with his pictures at the summer fairs. They’ll have bid for the pictures he donates to the auction. They’ll have seen his art van parked on the street. They’ll have his pictures hanging in their homes. They’ll have given his pictures as presents. However, Francis is also a property lawyer, and has been ever since he completed a law degree at Manchester University and was articled and started in practice. That was in 1981, the year he married Leone. They met in Israel in February and were married by June, and now have two sons, Robert (29) and Elliott (26). Francis is the son of Jewish immigrants. Both his parents came from Vienna and met in London. “My father was born in 1906 and would have been in his thirties when he was forced to escape from the Nazis after being detained by them – for the ‘crime’ of being a successful businessman! He did not like to talk about the war, but I know that a distant family member helped him to escape over the border at Sarajevo, from where he arrived in England. He had built up a women’s fashion business in Vienna, and was forced to leave everything behind. He built it up again in London, having a showroom at 100 Oxford Street and a factory around the corner in Rathbone Place. The family lived in Hampstead Garden Suburb. Francis went to a local preparatory school and then to Clifton College in Bristol, which had a Jewish House. There are no horror stories of boarding school despair. Francis “had a great time there” and made good friends he still sees today. Not many people know that Francis is also the author of The Adventures of Wild Will from Primrose Hill, a children’s book he illustrated with stick figures drawn with pen and Indian ink. The characters were identified by their outlandish hair and hats and strange names. The book was never published, but was the start of Francis Katz, the artist. Francis now has a studio in his house, next to a small office; so even when not painting he constantly passes by what he is working on, so that subconsciously his imagination is working out what he will do next. His studio has a view from the top of Primrose Hill over the panorama of London, and he is currently working on a series of paintings that take in the cranes, chimneys and buildings looking east towards the City. Francis and Leone sail whenever they can, and always crew the boat themselves. It is moored near Antibes, but they rarely stay there. They sail to Corsica, the Balearics, Marseille, Naples and its islands, living on the boat and sleeping on anchor. They also charter a boat every Christmas to sail in the British Virgin Islands. 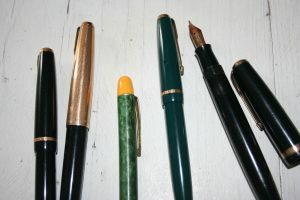 There is one other activity that takes up his time: buying and selling fountain pens. What with the day job, the painting and the sailing, it is obvious that Francis uses every minute of the day and probably most of the night being busy.